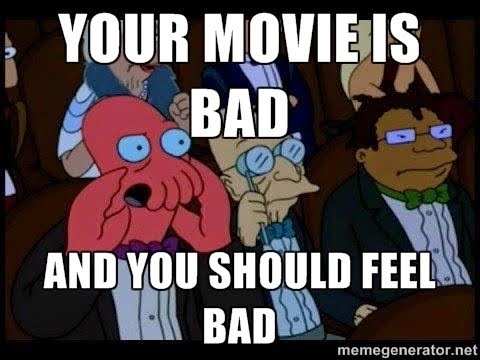 Your Movie is Bad and You Should Feel Bad: Twilight: Am I Annoying You? I give you 2 LOLs this time. Bravo! First LOL: Of course, no-one wants to read repetitive writing. But writing the same old crap with different words is still repetitive. 2nd LOL: Meyer has some real cajones here, dismissing minor league athletes for being unskilled when she has the writing skills of a penguin with a concussion. And I learn a new word today.